South African leader Nelson Mandela died December 5, 2013, after an extended hospitalization. He was 95-years-old. At one point, Mandela was declared “dead” by at least one media source. ETPR has commented on the “Nelson Mandela is dead” articles since June. There were articles in June, 2013 claiming that Nelson Mandela had already died. What was behind them? We look at the the Nelson Mandela news over the last six months–along with our comments at the time. We’ve compiled a listing of the various media stories on Nelson Mandela (along with our editorial comments) featured by End Times Prophecy Headlines over the last six months. Nelson Mandela Dead at 94 – Mandela was another water-carrier for the New World Order. There are no heroes at the international level of power politics. I pray that Nelson Mandela came to know Jesus at the end. Mandela’s passing and the looming threat of a race war against South Africa’s whites. As a widow mourns the latest murdered Afrikaner farmer, a chilling dispatch from a nation holding its breath – More talk of a race war. This time, from South Africa after the passing of Nelson Mandela. 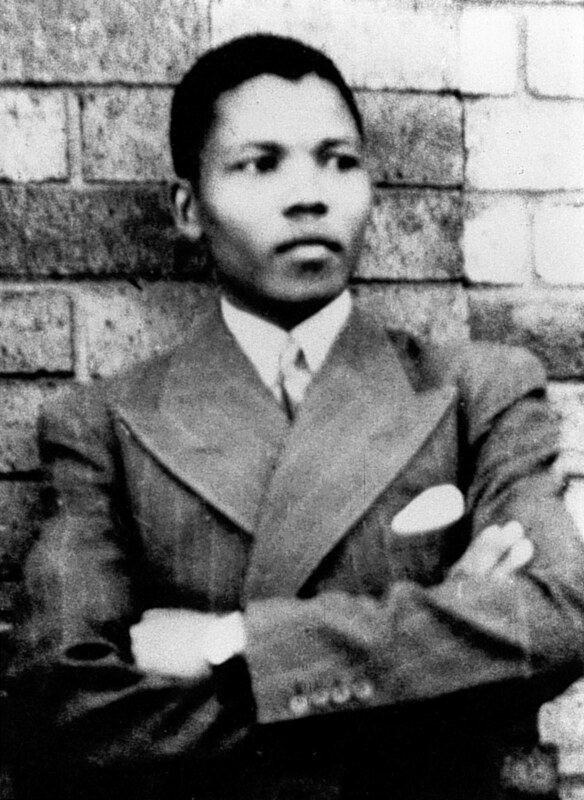 But as of this moment Mandela (born 18 July 1918) is still among us. Which is not to say that Mandela is not already dead. Doctors: Nelson Mandela in a “permanent vegetative state – This is the prevailing view of most of the Corporate Media. The Guardian (UK) seems to think Mandela is already dead. What are readers of the Corporate Media to do? Rummage around the articles and see if any bits of truth have managed to slip through–just like every other story the Corporate Media covers. Nelson Mandela Doctors Overruled by South African President Jacob Zuma – So even the Guardian is admitting that Mandela is still alive?!? Nelson Mandela, Death, Dishonesty and Denial – Okay, maybe that last assessment was a bit hasty?!? The Nelson Mandela Drama – a Gentle Reminder About the History of Apartheid – And still, there’s questions over whether Nelson Mandela is still alive. Nelson Mandela Dead; Family Colluding with President Zuma to Keep Him ‘Alive’? Nelson Mandela putting up ‘courageous fight’ – What’s a more exciting way to write “no change?” This headline answers that question. SOUTH AFRICA: Mandela dead at 95 – In the weeks and months leading to Nelson Mandela‘s death, various conspiracy theories were floated as to whether the African leader was even alive or not. Undoubtedly, these theories will continue with his death. propaganda and nonsense being dished up by the Corporate Media today, why not? SOUTH AFRICA: Nelson Mandela is dead – The Mandela death watch is now over. Mandela was a man with a man’s flaws. But one would never know that by the accolades from the leaders of this present world. Somehow, through all of the wringing of hands and tearing of clothes by the Corporate Media, Mandela the man seems to have been lost in the shuffle. As the Corporate Media doesn’t usually relate well to humans, Mandela the symbol, not the man, is receiving the media accolades. Nelson Mandela was 95 years old. Conspiracy theories abounded surrounding his last years. One of them was that he died years ago in prison and was replaced by the man the world now mourns. And who is to say, seeing the mythology which swirled around Obama bin Laden and Barack Hussein Obama–promulgated by that same media–that the conspiracy theorists have it wrong? Is there anything that is known for sure about the man who sits in the White House outside of the carefully-constructed media narrative? SOUTH AFRICA: Nelson Mandela: What were we thinking? – A look behind one of the conspiracy theories of six months ago. SOUTH AFRICA: Don’t Mourn for Mandela – (h/t:B) Nelson Mandela was no saint–regardless of what the Corporate Media campaign is saying. There were times he did well. And other times, he did not so well. The humanity of Nelson Mandela should be kept in mind during the midst of the media hype. Mandela accomplished much but he was a man with the flaws of a man like any other. The most striking thing when reviewing the past six months worth of Nelson Mandela news is the questioning of whether Mandela was alive beginning in June.